Review Report Card represents the best of what my team and I learned during “my 2nd go” the 2010 – 2012 portfolio. The product makes it extremely simple for a business to track their online reviews. 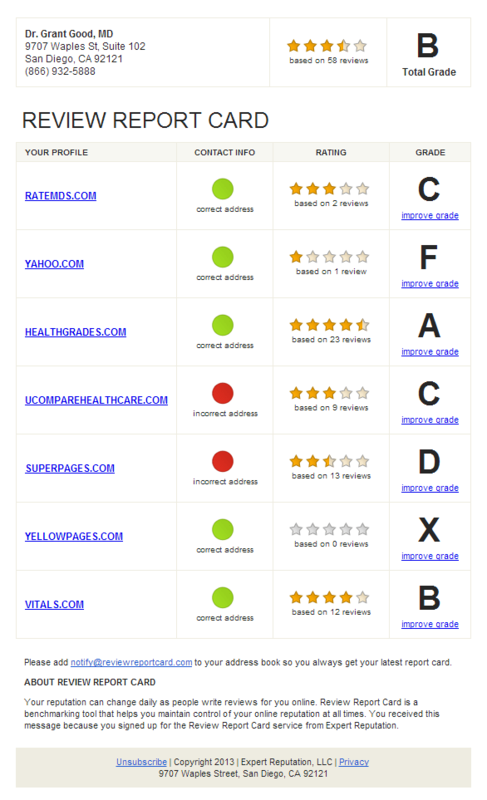 It’s emailed weekly and only takes a single glance to understand a business’s ratings across the major review websites. There are no passwords to memorize or training required. All the features are one click away from the inbox. Review Report Card is also available as a web app for your iPhone or iPad. We accomplished a lot from a design perspective. Not only is the product extremely simple, we were able to build the advertising directly into it. To learn more about Review Report Card, visit our website at http://expert-reputation.com.